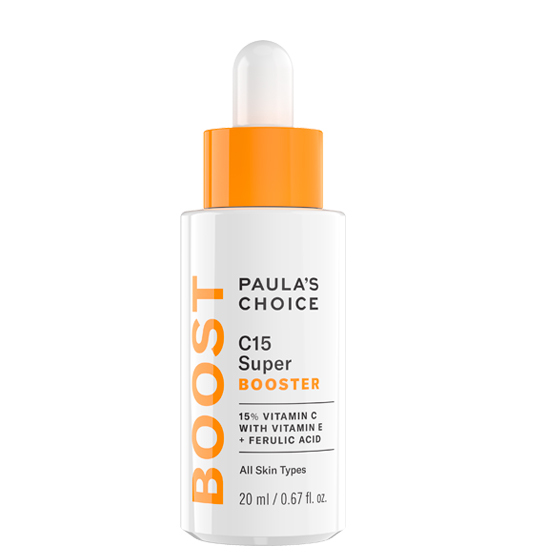 C15 Super Booster contains a highly concentrated form of vitamin C and an assortment of skin-stabilizing antioxidants and skin-replenishing ingredients. Combined, they provide exceptional results including improving the appearance of uneven skin tone, brightening a dull complexion, and helping skin ward off the impact of environmental assaults. Diminishes visible signs of aging for smoother, brighter, and firmer-feeling skin with a blend of 15% stabilized vitamin C (l-ascorbic acid) at a pH of 3.0, potent antioxidants including vitamin E and ferulic acid, and skin-smoothing peptides. You’ll see dramatically younger-looking and more radiant skin day after day!